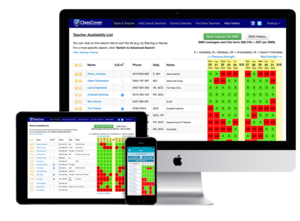 ClassCover allows you book teachers in just a few clicks, view teacher availability at a glance, upload your own bank of teachers and connect with new teachers in the area, access a centralised booking calendar and view reports. With our simple and efficient payroll report, you can access all relevant information at the click of a button, making payroll a breeze. Short-list your preferred teachers and even choose the prioritised order in which they will automatically contacted. What does our partnership mean for NSW Government Schools? While it’s not mandatory for NSW public schools to use ClassCover, you will get access at no cost to you. ClassCover will be replacing Casual.Direct as a more comprehensive solution and is the department’s recommended platform. Schools small and large can benefit from ClassCover and we have a growing number of relief teachers to connect directly with in all parts of NSW – including rural areas. What if my school already uses ClassCover? 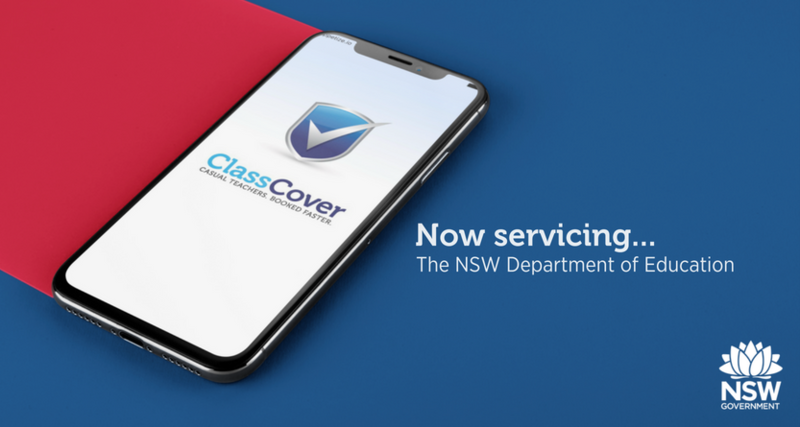 Before our partnership with the department, ClassCover already had over 700 NSW public schools benefiting from the platform. If you are a NSW public school and purchased ClassCover before 1.6.18, your access will continue as is. Who is using ClassCover already?